Details about BNWT - PUMA x HELLO KITTY White Crew Neck T-Shirt Top - Size S M - RARE! 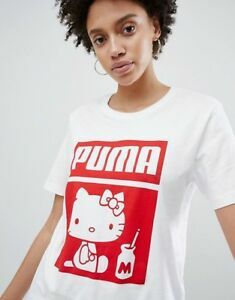 BNWT - PUMA x HELLO KITTY White Crew Neck T-Shirt Top - Size S M - RARE! Immediate payment of GBP 39.90 is required.